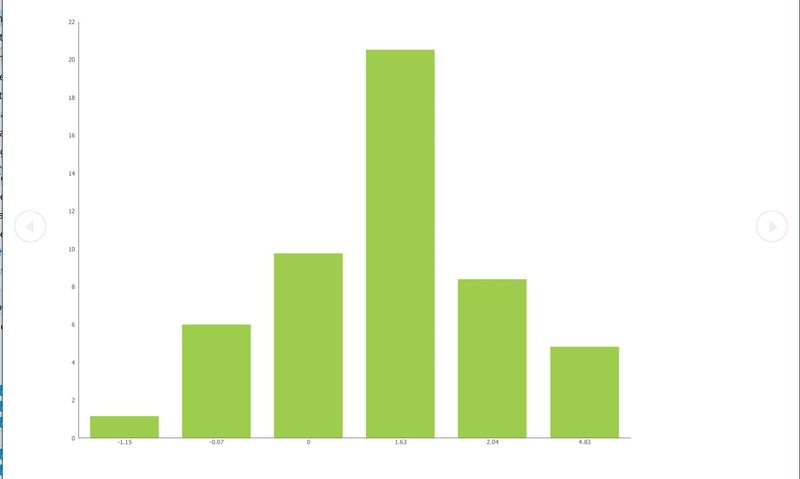 Using a Vertical Bar Chart control, and a single series of values, you create a simple Histogram Distribution chart by adding a simple computed column to spread the distribution above and below a zero point. Use the two value sets and create a correlated set which takes on the characteristic "bell-curve". Watch the X-Axis grouping to ensure you are counting the hits correctly.